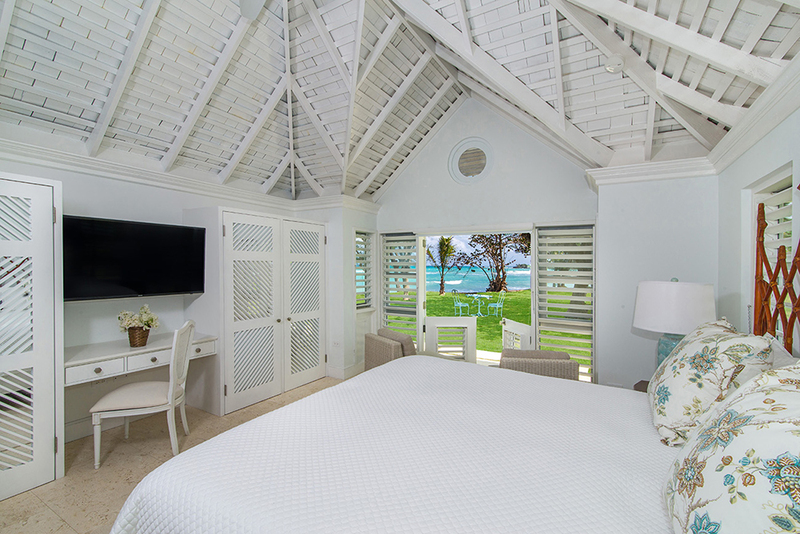 Tradewinds was completely renovated and refurbished in January 2018. 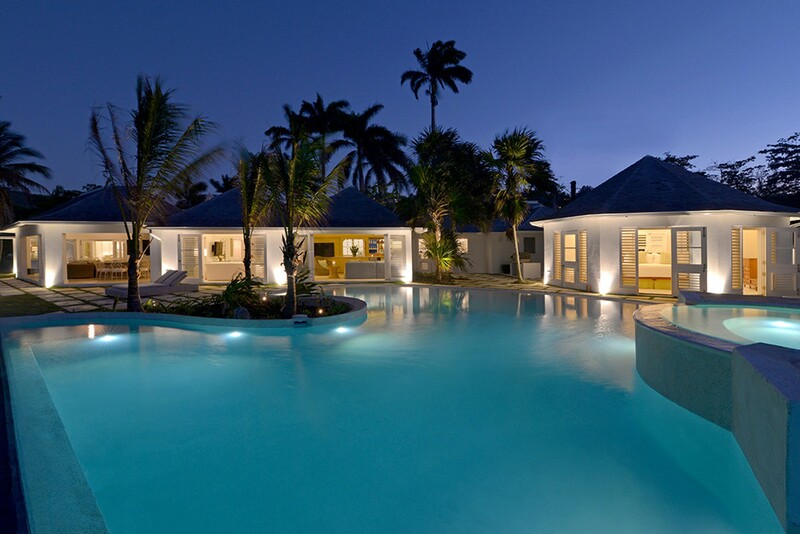 This amazing sea front property sits on two acres at the famous Tryall Club – directly on the Caribbean Sea. 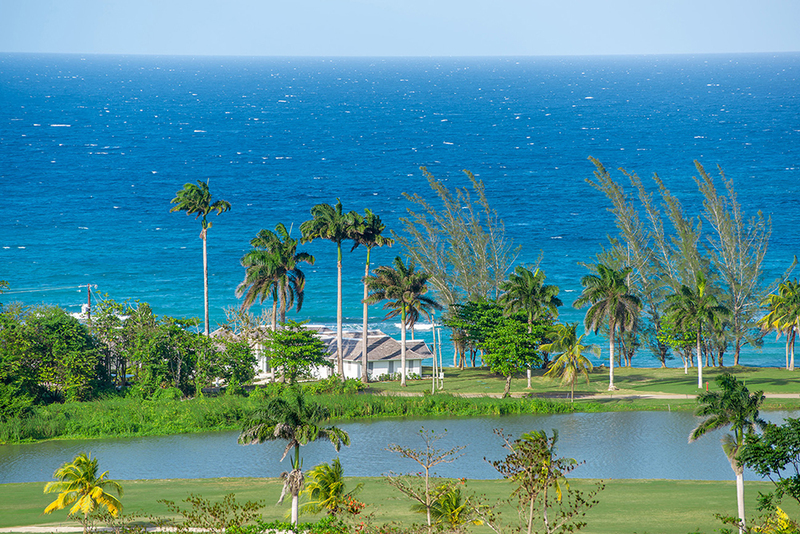 300 feet of waterfront from the north perimeter of the property, and it is one of the newest premier villas at The Tryall Club. 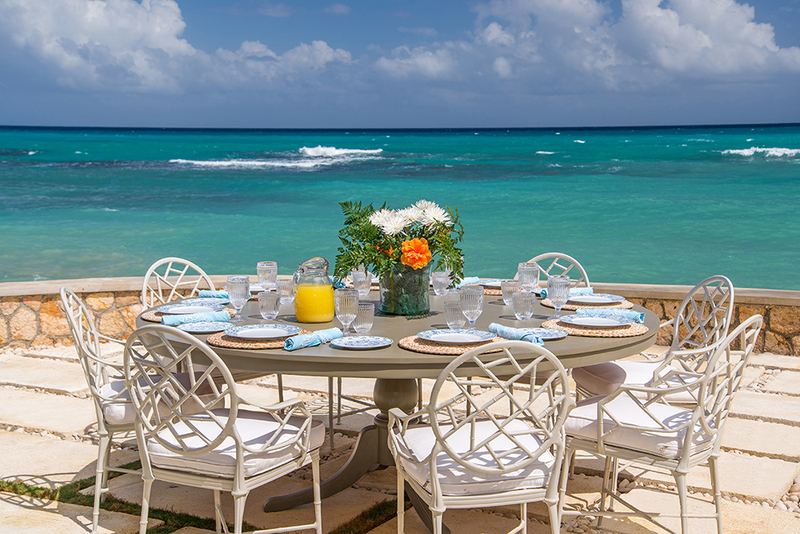 Tradewinds is a cozy beachfront villa. 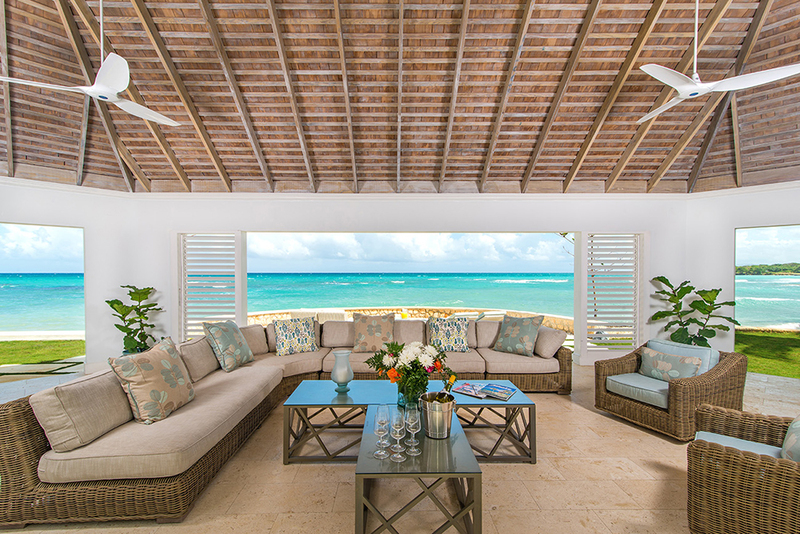 Recently completely refurbished (finished in January 2018), the villa boasts not only a new verandah facing the sea, where the sea can be as smooth as glass. Sometimes its waves break dramatically against the sea wall. 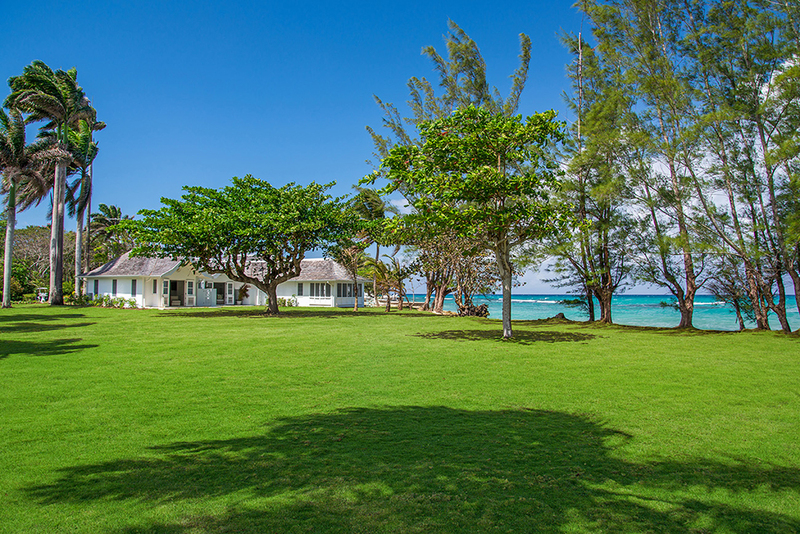 To the east of the house is a large grassy lawn, wonderful for children's games. 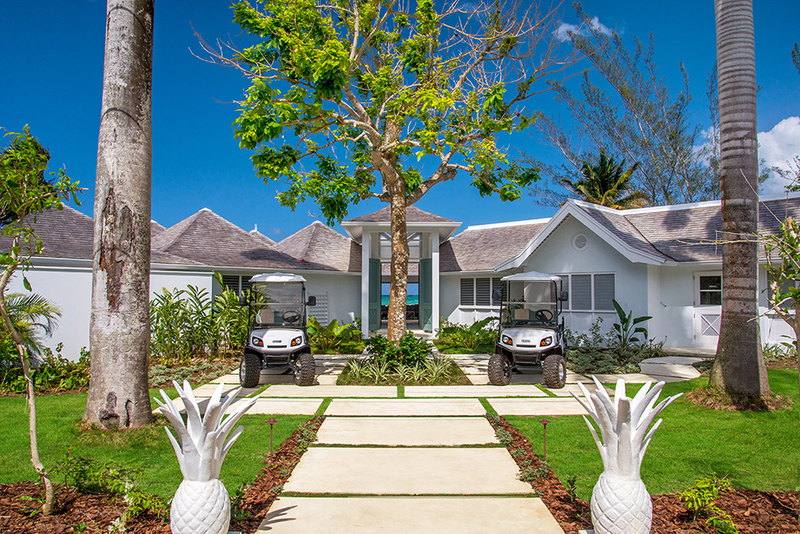 The beach club, pro shop, driving range, first tee, and casual beach bar and restaurant are a three-minute walk or a one-minute golf cart ride. 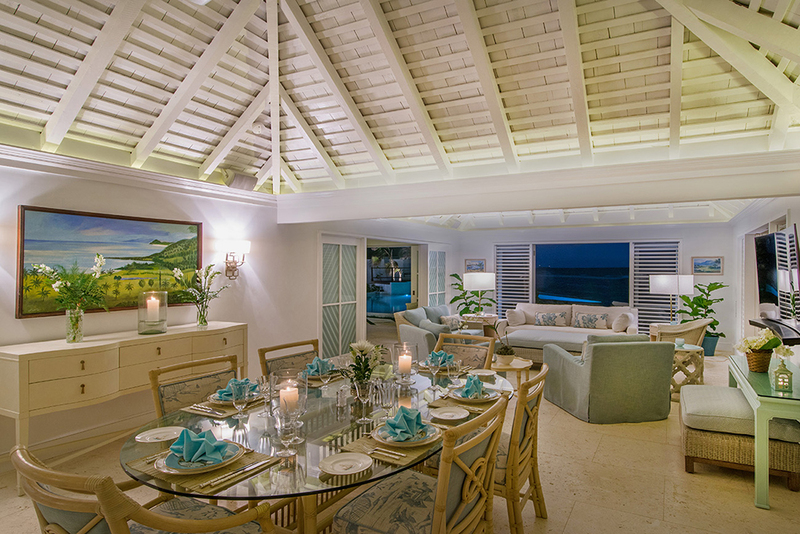 The dramatic entrance with double height, double doors welcomes you into the villa, which has been tastefully decorated with hues of blue and green throughout, and leads you onto the new verandah with the azure blue Caribbean Sea as its backdrop. The outside living space features an oversized L-shaped comfy sofa, and a curved 75-inch TV for keeping up with your favorite sports. The whole area has automatic screens to protect you from breeze, rain or sun. 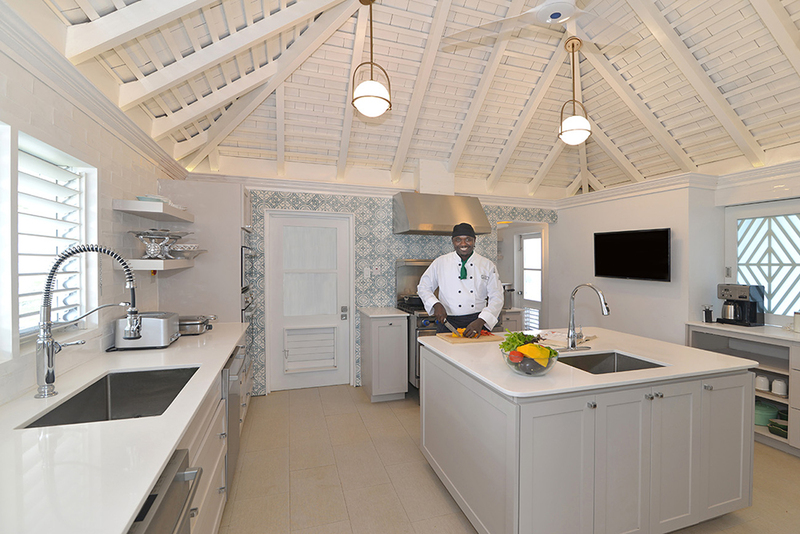 In the main house, there are three comfortable bedrooms (two which interconnect, making a perfect fit for families with small children) and bathrooms, two of which feature outside showers and one a soaking bath tub. 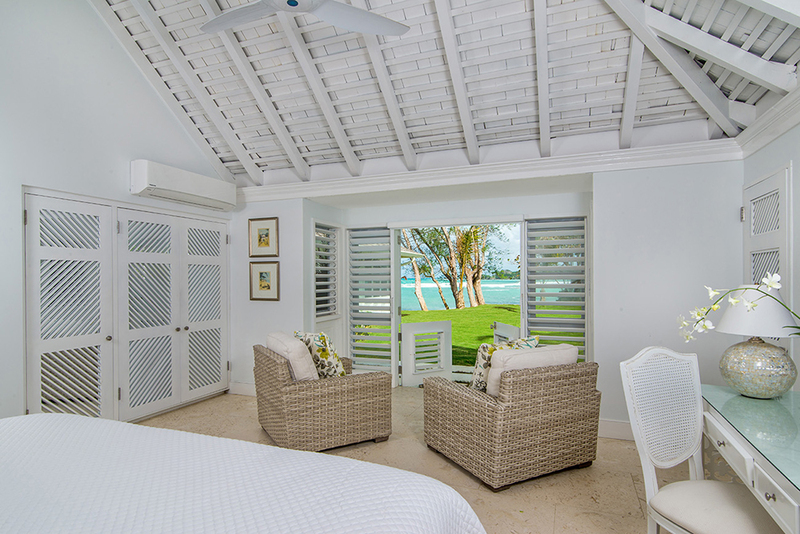 The cottage, which is poolside, features a king-size bed with indoor/outdoor shower. 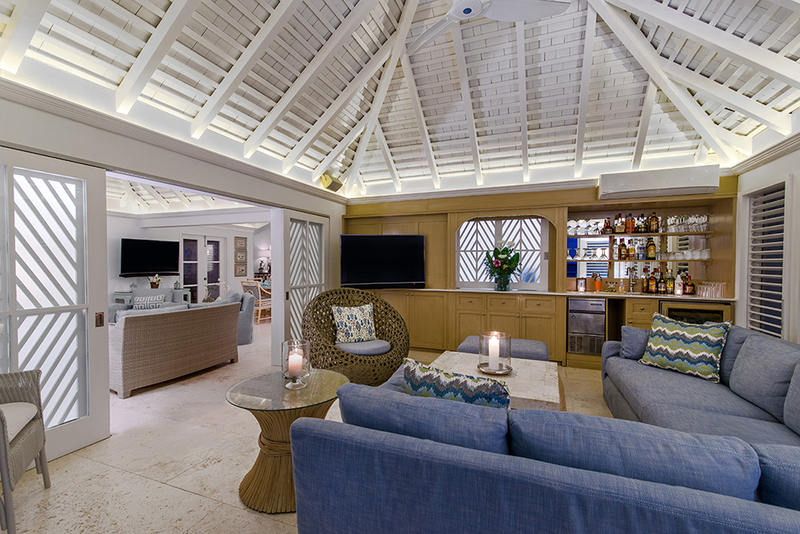 The comfortable sitting room, with curved 50-inch TV & formal dining room open to the verandah from three double doors, through sliding pocket doors is an air-conditioned media room & bar and a 75-inch curved TV, also opening to the pool terrace. 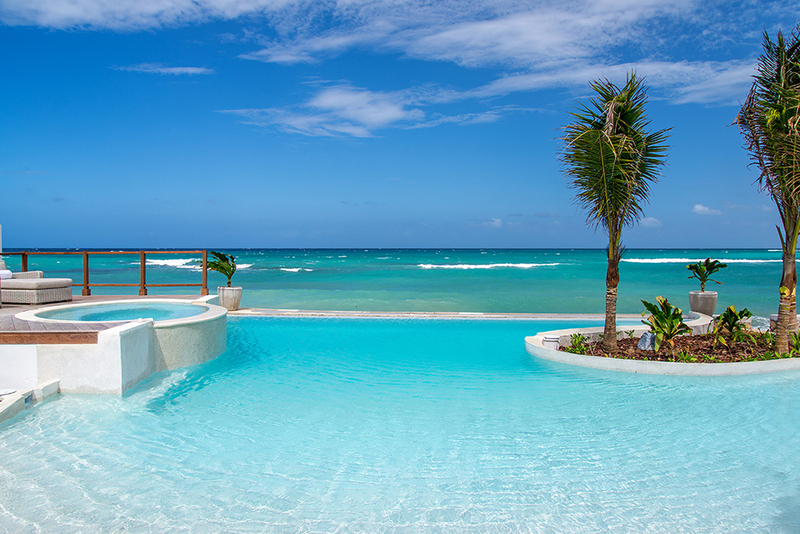 The pool terrace features a zero entry, heated, salt water, infinity edge pool with a hot tub. There are sumptuous long sun chairs and a thatched gazebo with a double sun chair for afternoon snoozes! The location is very private. The service is excellent. 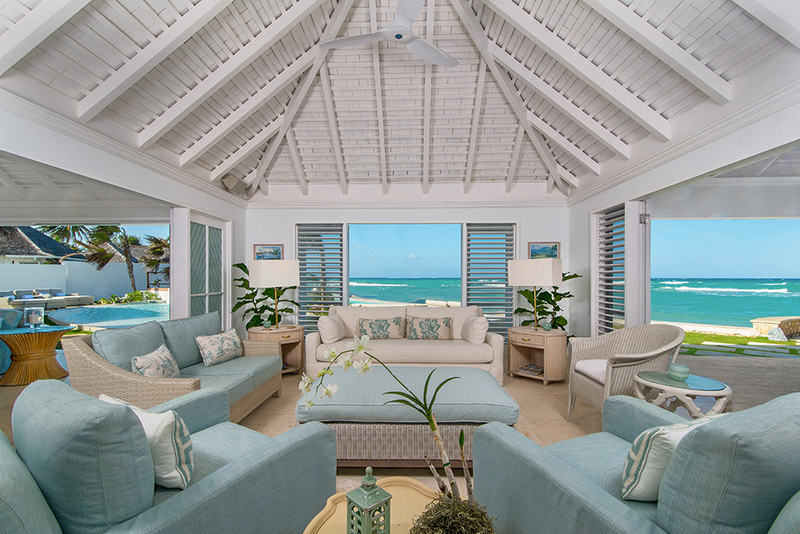 Tradewinds is a contemporary, bright villa with plenty of natural light from the many sets of French doors, with stylish furnishings & interiors, inside, outside living at its very best. Kingsize bed, 50-inch TV, and office/den with TV and sofa. 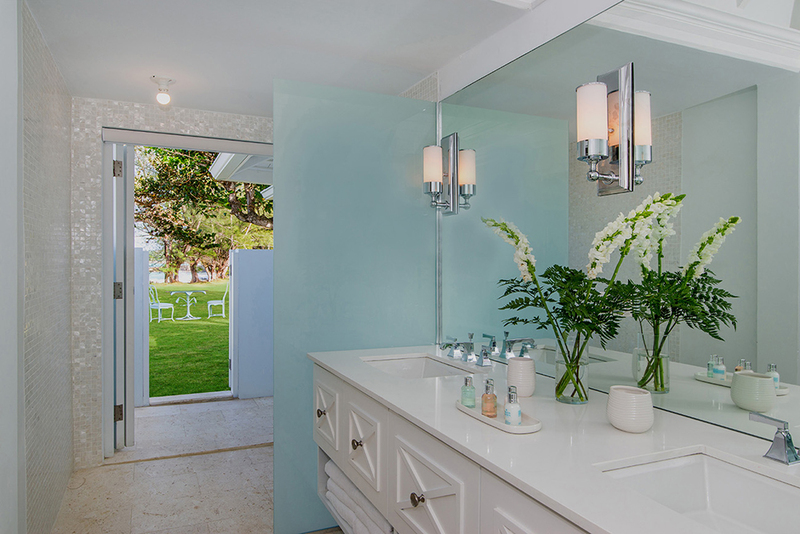 En-suite bathroom with TV, double vanity, walk-in rain shower & open-air shower. 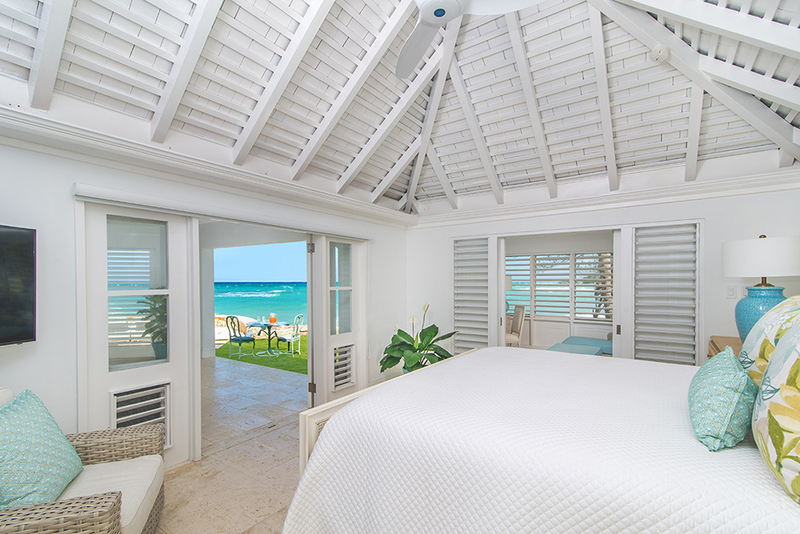 Opens to sea-facing veranda. Kingsize bed. 50-inch TV. 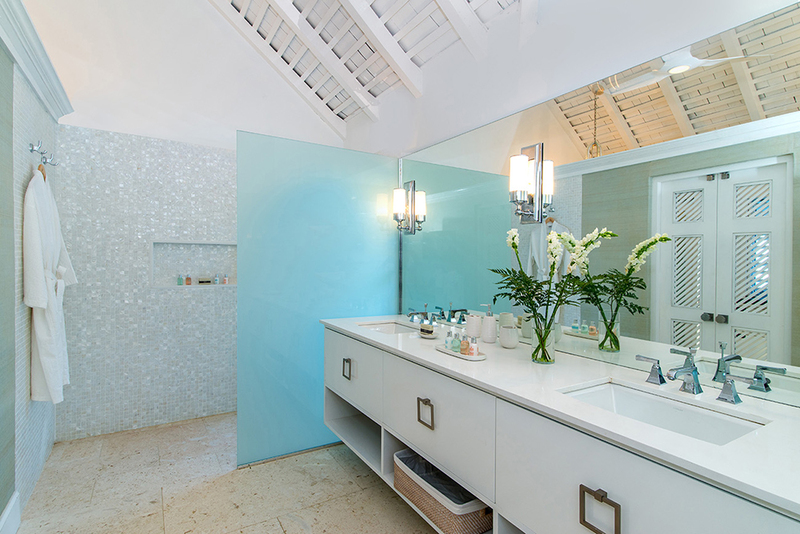 En-suite bathroom with double vanity, walk-in shower & open-air shower. Oceanview verandah. Bedrooms 2 & 3 are appropriate for families as parents and children can share this two-bedroom connecting suite of rooms. Kingsize or twin beds at guests' option. 50-inch TV. En-suite bathroom with walk-in shower & deep tub. Opens to ocean-facing verandah. Kingsize bed. 50-inch TV. 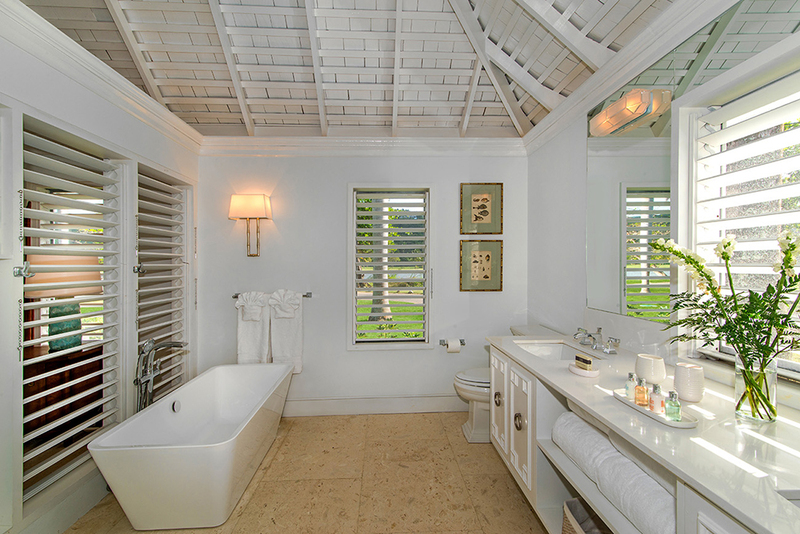 En-suite bathroom with walk-in shower & open-air shower. 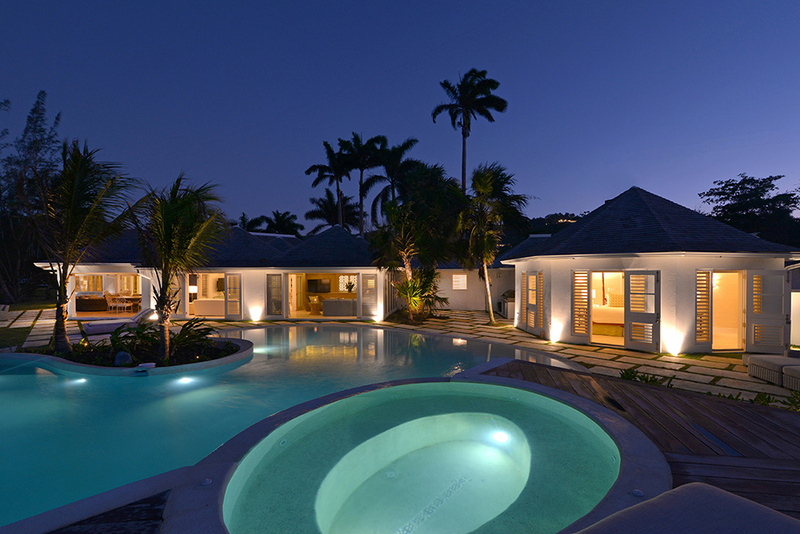 Opens to pool terrace. 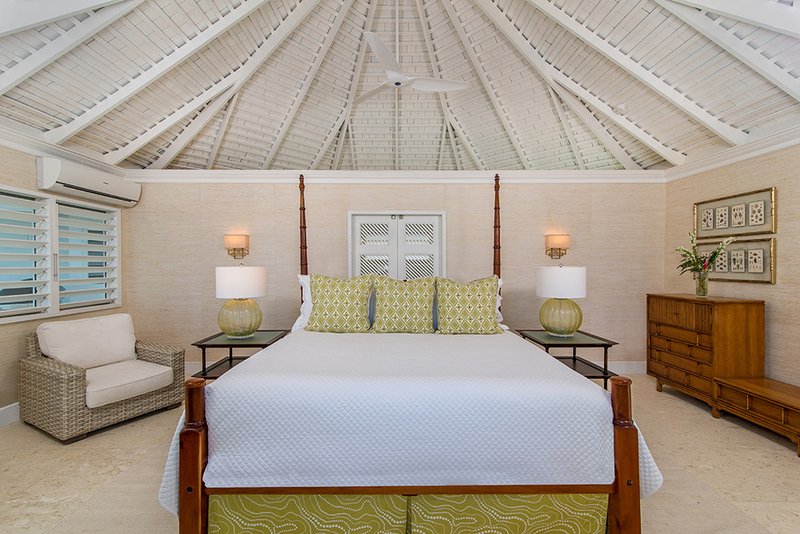 This bedroom is in a separate octagonal cottage on the edge of the pool terrace and just 20 feet from the main house. 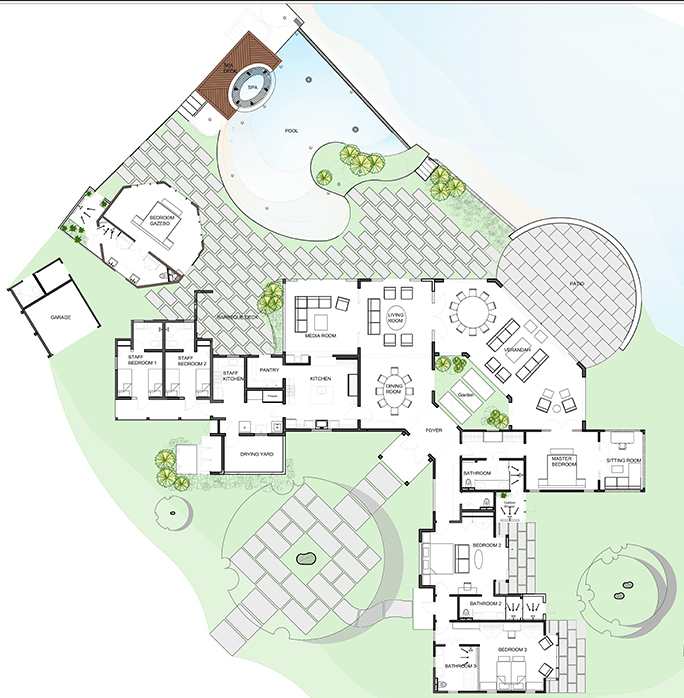 Six French doors and 10 louvred windows open to a wonderful ocean view. Please add 15% taxes and fees to all rates. We had a great time and had to mention what a fantastic job the staff at Tradewinds did. Every meal prepared by Vincent was a winner and Gina was superb on every level -- patient, organized, welcoming and funny.